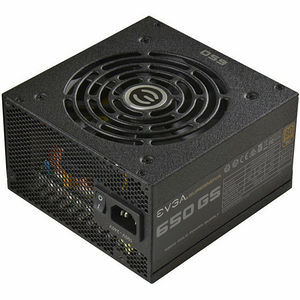 Introducing the EVGA SuperNOVA 650 GS and 550 GS power supplies. These power supplies take the award-winning features of the new EVGA "GS" lineup and provide them at an extremely affordable price. The EVGA SuperNOVA 650 and 550 GS power supplies offer superior performance, Gold-rated efficiency and are completely silent when under low loads*. Backed by a 5 year warranty and high quality Japanese capacitors, these power supplies are the right choice for excellent efficiency, low noise levels and incredible value.